Disinfectants, or products that kill about 99.9% of germs and bacteria, kill mold. Only mold spores can survive the use of disinfectants, although mold spores are greatly reduced in heated or dryer environments. Because mold spores survive, it makes cleaning mold important on a routine basis. Even standard disinfectant sprays which are safe to spray in the air and on surfaces can assist in the fight against mold. Mold can hide in a variety of areas. It not only shows up in bathrooms and kitchens, it can also be found on walls, furniture, wood, fabrics and in building foundations. Mold in these areas can often go unnoticed. It can be cumbersome to move heavy items, take apart cushions and lift carpeting. It’s also quite costly to find mold behind walls in the building’s foundation. While some mold is visible, some variety of molds are not, especially if it’s still growing after mold spores are released into the air. Visible inspection can detect mold easily in unnoticed areas if it has accumulated. Using a bright light can also assist in seeing mold. To attempt to keep mold at bay, products such as humidity meters can help in finding out if humidity levels in the facility are high, which can make it a breeding ground for mold. Humidity meters are inexpensive and available at many retail stores. Many humidity meters include temperature readings and alerts to tell you if the humidity is too high or low in the environment. If an environment has high humidity levels and you don’t detect mold during a visual inspection, many stores provide mold detection kits to test specific areas of a facility. Some kits also provide tests to detect other allergens. These kits can be an important tool to detect mold after a flood, plumbing leaks and during humid seasons. In areas that humidity levels are high, ensure the air conditioner or HVAC system is set on a “dry” setting. Heating fuels, such as propane, run wet and although the heat tempers the humidity level, it can also create a more humid environment than other fuels. 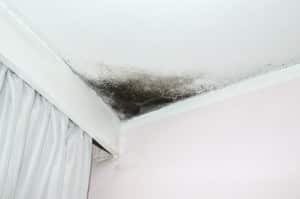 Although you may feel you don’t need to keep an eye on humidity levels in the winter months because of the heat, the cold from the outside and some moisture from the heating fuel can allow mold to grow in a building’s foundation. Dehumidifiers can also control humidity. Although the initial purchase of a dehumidifier can be costly, many models are now Energy Star rated. Even though the dehumidifier itself can be expensive, repairing potential mold damage can be even more expensive. Because a dehumidifier helps control mold, it will also reduce allergens. There are products on the market sold to help reduce humidity in areas such as closets and RVs. Those products can also be used to reduce humidity if it’s prepared in larger quantities – it also plays a dual role. Standard calcium chloride absorbs water. Simply use a bucket with a lid. Drill holes in the lid. Fill the bucket or pale half-way with calcium chloride. Put the lid on and put the bucket in the area with high humidity levels. The amount of calcium chloride required for the area depends on the square footage of the area. Large areas may require up to 1 lb of the calcium chloride, while small areas only require a cup or 2 of it. Put on the lid with wholes drilled in it. Covering the calcium chloride keeps it inaccessible to people and pets to avoid contact with it and ingestion. The moisture will be absorbed by the calcium chloride, creating a more comfortable environment and reduce mold. The calcium chloride should be replaced every 30 to 60 days. Calcium chloride is also used to melt ice on roads, driveways, parking lots and sidewalks, so it won’t go to waste in climates where it snows. Worldwide Janitor has several calcium chloride products used to melt ice on roads, parking lots and sidewalks, which can also be used to tackle mold. If mold has gotten out of control and you feel it requires additional products or services to tackle it, a mold fogger is the most aggressive way to kill mold, because it reaches areas other products can’t. Mold foggers can be purchased at home improvement stores. Restoration companies can also use an industrial mold fogger in your facility for a fee. It’s best to take the necessary steps and precautions to avoid potentially extensive mold damage and health concerns. These inexpensive methods can potentially save you or your business thousands of dollars. This entry was posted in Disinfectants, Drain & Septic Maintenance, Janitorial, Safety and tagged 80% Pure Pine, Disinfectants, ice melt. Bookmark the permalink.